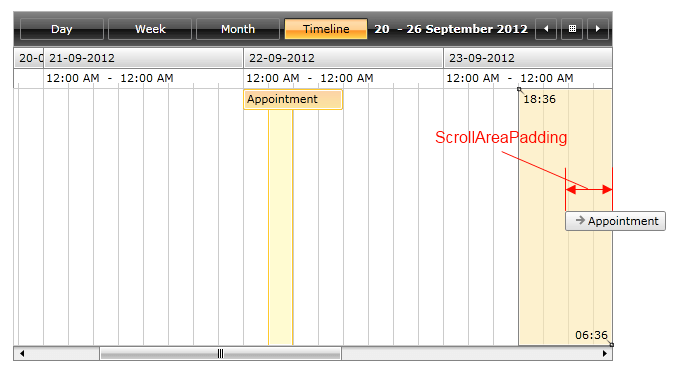 With the official Q2 SP1 release of UI for WPF we introduce the auto scrolling feature for RadScheduleView. 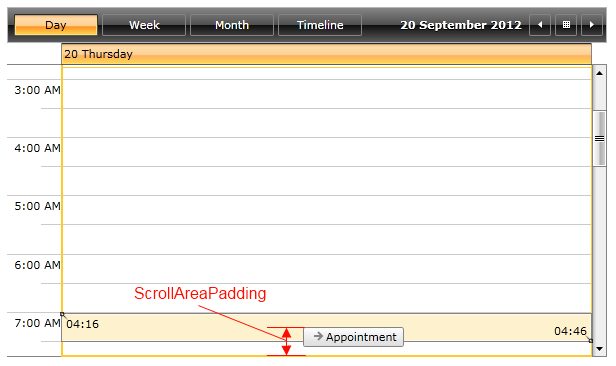 This feature will help end users by auto scrolling the visible area of the view while dragging appointments in the control. The default value that is set to the ScrollStep property is equal to 5px. This value determines how many pixels will be skipped while dragging the appointments. 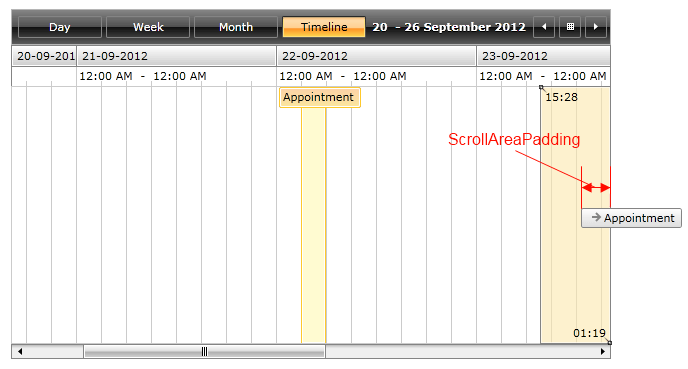 ScrollStepTime sets the time interval between the scroll steps of the auto scrolling feature. The default value of this property is 0.01 sec and it could be set to any TimeSpan value. 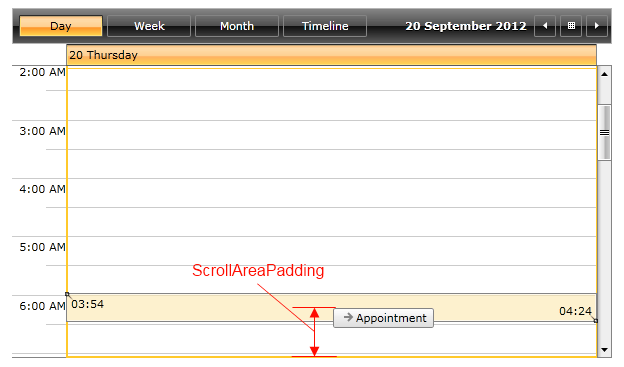 By setting ScrollAreaPadding you can customize at which point the auto scrolling functionality will start. This property could be set in the same manner as the Padding property. Its default value is 30px.